I received an old Windows Server and I'd like to remove everything and put Debian on it. The server is USB-boot protected (if I put a USB key w/ Debian live install, the server doesn't boot) so I took the hard drive and placed it in my computer. Now I have two hard drives (three, including my SSD) in my computer, and I would like to install the Debian installer on the server's drive so I can install Debian when I put it back in the server (I don't want to install directly with my computer). In case my previous answer does not work out for the OP, here is another solution which requires the installation of VirtualBox. 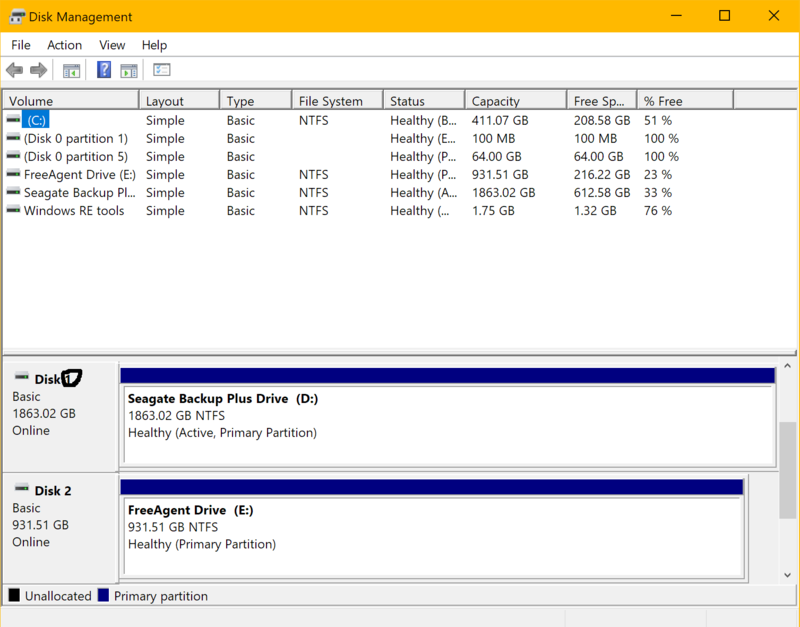 Open up the Disk Management utility by running diskmgmt.msc from a Command Prompt. Find the disk number of the disk you wish to install Debian on. In this case the number is 1. This changes the directory to the directory where VirutalBox is installed and creates a VMDK file for VirtualBox (at C:\debian.vmdk), which is a direct link to the physical drive. Run VirtualBox as Administrator (required for RAW hard disk access). Then create a New Virtual Machine. Select Debian as the OS type, and the other options (except for choosing a disk file!) can be left alone if you wish. Skip this step if you are not installing Debian for a UEFI machine! Select the virtual machine we just created, and click settings. From there, click on System, then select Enable EFI. Select the virtual machine, then click Start. When it prompts you to select an image file to start your virtual machine, select the Debian Installation ISO that you've downloaded earlier. Follow the Debian installation process, then, once your done, you can power off your computer and remove the hard drive and put it back into the server. Now you should be able to boot from the internal hard drive and start Debian. Not the answer you're looking for? Browse other questions tagged debian windows hard-disk debian-installer or ask your own question. Run debian graphical installer from within debian?